THE MIST BECKONS YOU BEYOND THE EBON GATE! Passes on sale October 6th at 9pm ET! 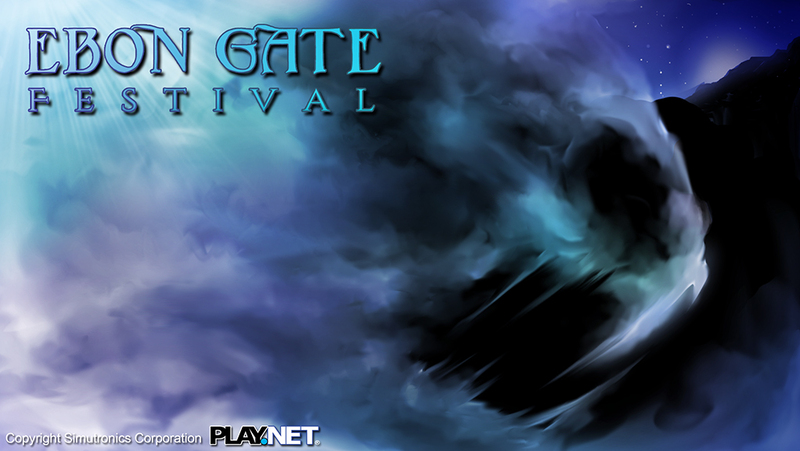 The Ebon Gate creaks as the Eve of the Reunion descends upon us this month. With the devastation of Feywrot Mire, Captain Junderthal of the Damsel of the Deep set sail to a new location lost to the Abandoned Waters to the east of Elanith. A foreboding mist encapsulates the mysterious island. Will you be able to uncover the evil and tell the tale? Your fate hangs in the balance beyond the Ebon Gate! This year is an all new venue with a fresh new look, layout, shops, merchants, and activities! A wide assortment of raffles and services will be available throughout the Merchant Week! Instead of only ticket-goers being able to explore Caligos Isle, everyone is invited! No tickets are required to enjoy the festivities at Ebon Gate. You can buy into the event at the level you choose. Passes are broken into three parts, shopping, services, and games! Test your diving skills in the Abandoned Waters surrounding Caligos Isle. You can swim around in shallow waters or choose to head to deeper waters, but beware of obstacles that terrorize the deep! Save your harpoons, bellows, and fishing nets, as they’ll prove to be quite useful. What treasure might you find as you swim to deeper waters? A long-time favorite, digging will be available on the island, so grab a shovel and start digging through the dark sands of Black Sand Beach and dig up buried treasure. Venture through the sea caverns to find a few mini-games that you can play for silvers. Brush up on your fishing knowledge, and fish to your heart’s content in the tidal pools of the sea caverns. The fish have apparently done some diving of their own, and managed to eat many of the treasures lurking in the bottom of the Abandoned Waters! Passes go on sale October 6th at 9pm ET! Ebon Gate remains open through the entire month with exciting new activities to do throughout the event. Live games, quests, and more! You will not want to miss out! See the FESTIVAL command in game for a schedule! Make Your Way to the Large Ebon Gates Across Elanthia TODAY!